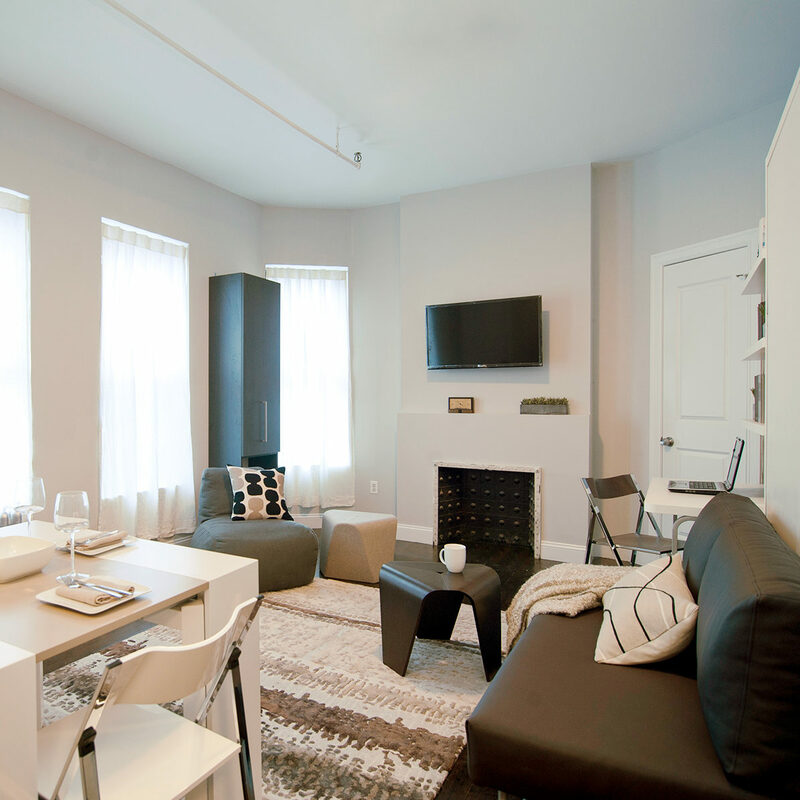 Drawing inspiration from the ADapt NYC project, these pre-war, single room occupancy units (SROs) were “designed for life”. 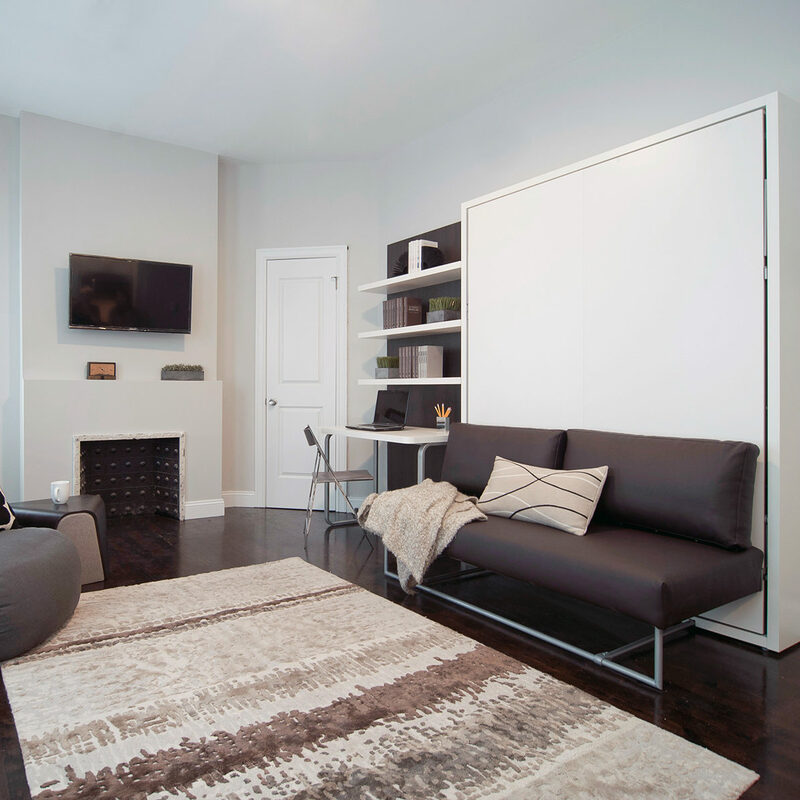 The units range in size from 155 square feet to 230 square feet and are truly multi-functional. 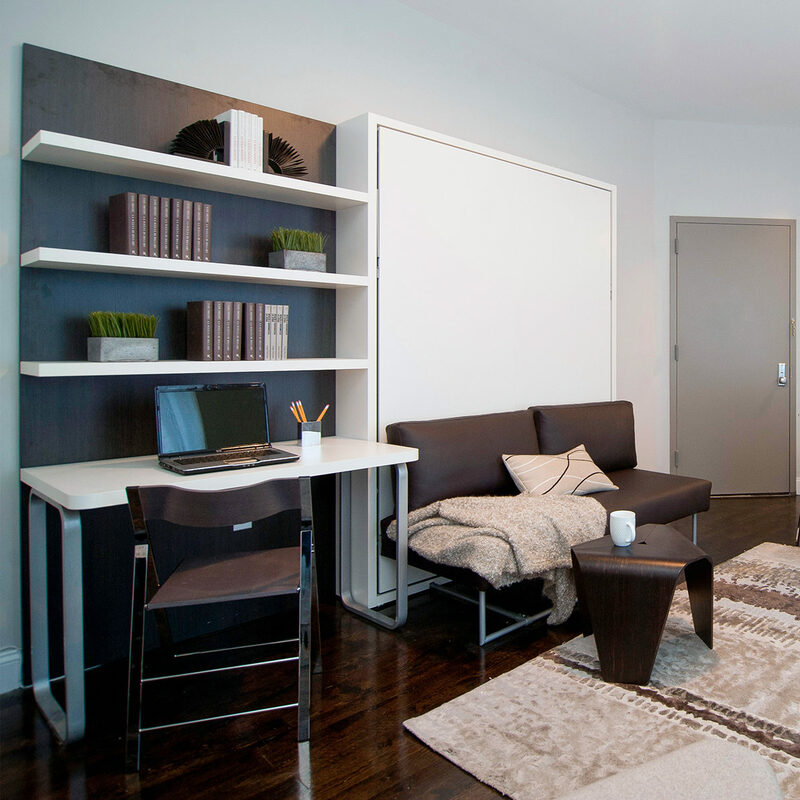 By taking the time to study and understand how residents would use the space, the micro-units were intelligently designed to make the most out of every square foot. 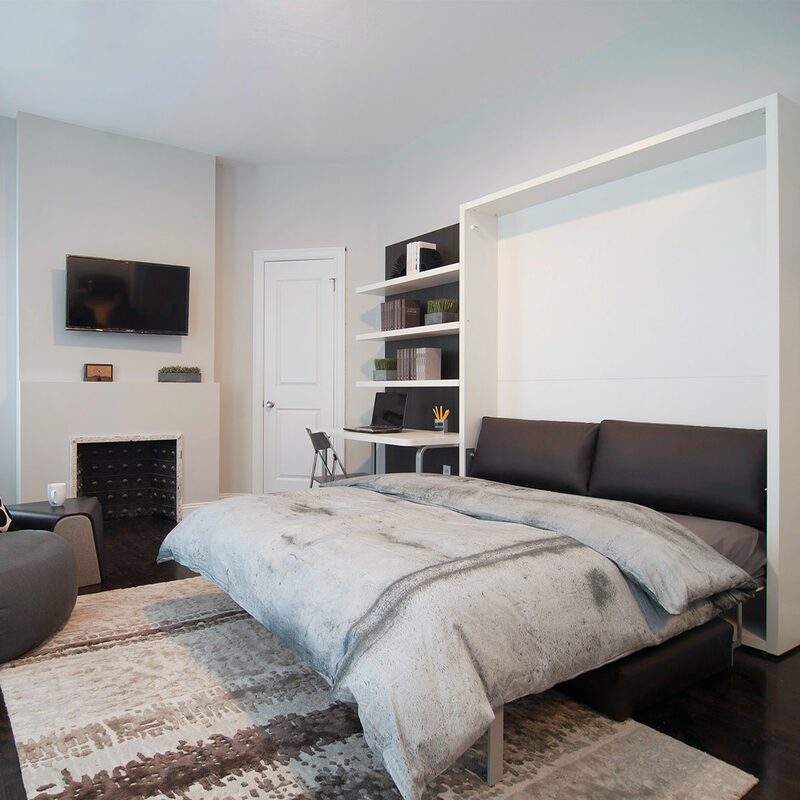 By fitting four of their micro-units with Clei wall bed and storage systems, Weissman Equities transformed the space to fit the needs of their residents. These units feature the Ulisse Sofa queen wall bed system, the Goliath transforming console to dining table, and folding Pocket Chairs. Read the New York Magazine feature of this project here.